Posted by Frank Fillmore on January 8, 2016 under BigInsights, BLU Acceleration, DB2 for Linux Unix Windows, DB2 for VSE&VM, DB2 for z/OS, DB2 Gold Consultants, IBM DB2 Services, IBM Information Management Software Sales, IBM Smart Analytics System, IDAA, Informix, InfoSphere, InfoSphere Streams, pureScale. Tags: IBM. I only spoke with Steve Mills a couple of times and attended presentations he delivered at conferences a few others, but he has had an enormous impact on my career. Steve was the executive sponsor of the DB2 Gold Consultants program, of which I have been a member since 1998. Steve recognized that specialized, deep technical skills were imperative to enabling the adoption and successful deployment of IBM’s world-class, function-rich – but let’s face it: enormously complex – information technologies. Through the DB2 Gold Consultants program, Steve cultivated a cadre that were not only among the best DB2 practitioners, but foremost in the world in relational database technology in general. Folks like Richard Yevich, Bonnie Baker, Frank Ingrassia, Terry Purcell, Jan Henderyckx, and Gerry Hodge. I am humbled to be numbered among them. For years IBM would sponsor a week-long DB2 Gold Consultants conference, usually at Silicon Valley or Toronto Lab. Dozens of presenters including IBM Fellows like Pat Selinger, Don Haderle, Don Chamberlin, Hamid Pirahesh, and Curt Cotner would tell us about broad industry trends and specifics regarding features and functions in vNext, vNext+, and vNext++. It was an amazing feast of insight which enabled me to better serve my clients. None of that would have happened without Steve’s leadership. An even more critical and direct aspect of Steve’s support was his sponsorship of contracting vehicles for DB2 Gold Consultants which enabled us to engage directly with IBM without having to add additional layers of third-part procurement. He understood the practical problem of small businesses and sole practitioners trying to navigate a large, cumbersome bureaucracy. One time I explained to Steve that even with the contracting vehicle in place, IBM buyers occasionally refused to use it. His response was “Sometimes the inmates are running the asylum”. I didn’t hear anything for a couple of weeks and then I received a call from a senior IBM procurement officer who introduced himself by saying: “Hi, I’m one of the ‘inmates'”. Of course, the problem was resolved. Steve Mills, the quintessential old-school “wild duck” IBMer, will be missed. Posted by Frank Fillmore on October 3, 2013 under DB2 for Linux Unix Windows, DB2 for z/OS, Federation, IBM Information Management Software Sales, IBM Mid Market Customers, Informix, InfoSphere, Optim, Oracle, Q-Replication. Tags: Federation, IBM InfoSphere Data Replication, ICDC, IIDR, InfoSphere Change Data Capture, InfoSphere Data Explorer, InfoSphere Federation Server, Q Replication, Replication. Kim and I conducted a webinar on Thursday, October 3, 2013 that focused on IBM Data Interoperability software products and their specific strengths, weaknesses, and use cases. We highlighted the application of the InfoSphere family of products to other-vendor databases such as Oracle, SQL Server, Sybase, and Teradata. Kudos to Kim for putting together a presentation of disparate, but complementary technologies. Posted by Kim May on September 30, 2013 under DB2 Education, DB2 for Linux Unix Windows, DB2 for z/OS, DB2 Gold Consultants, DB2 Migrations, DB2 Stars, Federation, Frank Fillmore, IBM Champion, Informix, InfoSphere, Optim, Q-Replication, TFG Blog. Tags: Data Explorer, InfoSphere Change Data Capture, InfoSphere Federation Server, Q Replication. Data interoperability is the function of moving data where you need it, when you need it. It is the process of copying data, also called replication, or combining data from two unique databases, also called federation. Over the past ten years IBM has been developing technologies and acquiring companies whose tools support fast, reliable replication and federation. DB2 Gold Consultant and Champion Frank Fillmore and I will deliver a presentation on IBM’s data interoperability solutions targeted to an audience of current Oracle customers – but open to anyone – this Thursday at 11am EDT. Frank has worked with customers of all sizes to implement IBM replication and federation solutions. We will combine his real world experience with the latest product information shared by our colleagues Dylan Murphy and Steve Tessler from IBM. Posted by Kim May on July 11, 2013 under Big Data, BigInsights, BLU Acceleration, DB2 for Linux Unix Windows, DB2 for z/OS, DB2 Gold Consultants, Frank Fillmore, Hadoop, IBM Champion, IDAA, Information on Demand Conference, Informix, International DB2 Users Group (IDUG), Netezza, TFG Blog. Congratulations to Frank Fillmore for being invited to present at this year’s IBM Information on Demand Conference! Frank’s presentation is titled, “IBM Data Retrieval Technologies: RDBMS, BLU, Netezza and Hadoop”. Check back to the blog for the session date and time. The abstract is below. 4. BigInsights, IBM’s Hadoop distribution. It’s good to have choices, but how do you choose which technology to apply to a particular business use case? Learn how these techniques differ and their relative strengths and weaknesses in order to make an informed choice. Frank Fillmore is the Founder and President of The Fillmore Group, Inc. (TFG), a Premier IBM Business Partner specializing in Information Management. Since 1987, The Fillmore Group has delivered technical services to clients worldwide including: Federal Bureau of Investigation, National Institutes of Health, The World Bank, U.S. Golf Association, Bank of America, MasterCard, Constant Contact, Iron Mountain, Mattel, 3M, Northrup Grumman, and the Ministries of the Interior for the Kingdom of Saudi Arabia and Qatar (UAE). A knowledgeable and engaging speaker, Frank has presented at many regional and national events. In 1998 he became a DB2 Gold Consultant, and in 2009 was named an inaugural InfoSphere Information Champion. Frank’s core areas of competency include replication, federation, and data interoperability, InfoSphere, and technical Project Management. Frank oversees a staff of DB2 and Informix consultants and contributes his technical expertise to The Fillmore Group’s growing software sales business. Posted by Kim May on May 6, 2013 under Baltimore Washington DB2 Users Group, Big Data, BigInsights, BLU Acceleration, DB2 Education, DB2 for Linux Unix Windows, DB2 Migrations, Hadoop, IBM Champion, IBM DB2 Services, IBM Information Management Software Sales, IBM Pure Systems, Informix, InfoSphere Streams, Netezza, pureScale, TFG Blog. Tags: DB2 Education. On April 30th IBM announced several significant solution enhancements related to data management and big data. These announcements reflect IBM’s commitment to leading the next generation of data solutions through improved functionality in their core database and data warehouse solutions, as well as expanding the capabilities of their solutions built to exploit big data, BigInsights and InfoSphere Streams. For DB2 database customers IBM announced BLU Acceleration, delivering 8 to 25 times faster reporting and analytics on DB2, along with significant compression and space savings. For customers considering IBM’s Big Data solutions, IBM announced BigSQL, its ANSI SQL interface that makes BigInsights analysis accessible to business users, not just data scientists. And for organizations looking to simplify administration, a new appliance, the IBM PureData System for Hadoop was announced. Join us Thursday, May 9th from 11am-12pm Eastern for an overview of the announcement and learn how your organization can benefit from IBM’s continued investment in data management. Register here. Warren is a Certified Consulting IT Specialist for IBM working in the Mid-Atlantic region. He has over 25 years experience in the database field including 9 years at Informix prior to the IBM acquisition. He has a strong background in both OLTP and DSS Informix products and has worked with numerous clients in both Commercial and Federal accounts. Currently, he supports the full family of IBM Informix products along with DB2 and big data products for the Mid-Atlantic region and is actively involved in Proof of Technology and Proof of Concept scheduling and delivery. Posted by Kim May on September 26, 2012 under Authorized Training Partner, DB2 for Linux Unix Windows, DB2 Migrations, IBM Information Management Software Sales, IBM Mid Market Customers, Informix, InfoSphere, Optim. Tags: AESE, Authorized Training Partner, DB2 Services, InfoSphere, Optim, Special Bid. Next week marks the beginning of the final calendar quarter for IBM Information Management sales. Along with Q4 push comes discounts and special deals to help save money – and encourage you to buy now! As an IBM reseller The Fillmore Group wants you to be a smart shopper and to make sure you compare software quotes before buying during this hectic selling season. This keeps your vendors honest and may help you avoid overlooking a critical component needed to make the solution a success, like implementation services and training. And, of course, we would love to earn your business. 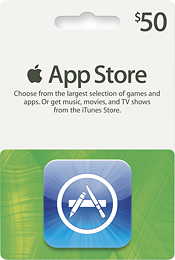 And as an extra incentive to customers looking to purchase IBM Information Management solutions between now and year end, The Fillmore Group will give a $50 iTunes gift card for any competitive Information Management software quotes we prepare for your organization. Contact me at either 410-465-6335 or via email at kim.may@thefillmoregroup.com if you would like a TFG software quote. The fine print: This offer is valid for IBM DB2, Informix, Optim and InfoSphere products purchased through the IBM Passport Advantage program only. You must provide your organization’s Passport Advantage Account number to receive a quote. Posted by Frank Fillmore on April 5, 2012 under DB2 for i, DB2 for Linux Unix Windows, DB2 for VSE&VM, DB2 for z/OS, DB2 Migrations, IBM Smart Analytics System, Informix, InfoSphere, Netezza, Optim, Q-Replication. Tags: DB2, Guardium, InfoSphere, Optim. The recording of April 5, 2012 webinar “IBM 2012 Information Management Product Strategy and Portfolio Overview” is located here. Posted by Kim May on September 7, 2010 under Informix, Uncategorized. Tags: Informix, Panther, training.